Feel overwhelmed by clutter in your home? Perhaps you’ve outgrown your smaller home, but can’t bear to move yet. Or better yet, you just bought your first home and want to update its style to yours. In all of these cases, with the expert help of Jordan Woodworking, you can make use of under-utilized areas in your home — such as closets, under the staircase, entryways, corners or small nooks — to maximize your storage capacity and upgrade your home’s aesthetics. If you just bought a new TV that doesn’t fit where you want it, we can integrate that television into the entire mantel of your entertainment area. With fine cabinetry, we can customize every underutilized nook or cranny in your home to make the most of the space in your home. It’s a place that ready-made cabinets don’t fit or require altering to fit. We have a wide range of kitchen cabinet options for our clients. 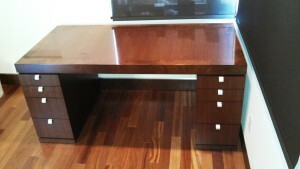 We can supply an economy line of pre-manufactured solid wood cabinets with short lead times. Examples of our premium cabinetry include period cabinetry for a recently registered historical farmhouse in Boulder County. We built this period cabinetry using reclaimed wood milled in the late 1800’s. We applied patina to the hardware, added distress marks, and restored existing cabinetry for the period project. No particleboard or plywood was used. Keep an eye on our blog for posts detailing the reproduction of these historical kitchen cabinets, bathroom cabinets, and cabinet doors in the near future. At Jordan Woodworking in Longmont, CO, we greatly enjoy working with homeowners, architects, and designers to enhance your home with custom cabinets. Often this begins with a great kitchen design idea or bathroom remodel that needs that extra bit of flair infused into it, which we can do with custom cabinets that reflect your style and personality. Do you need custom kitchen cabinets, bathroom cabinets, or new cabinet doors to bring your home design to fruition? Contact us today by email at info@jordanwoodworking.com or by phone at (303) 641-5857. While we’re based out of Longmont, CO, Jordan Woodworking services clients’ homes in Boulder, Denver, Louisville, Superior, and beyond. Alongside custom cabinets, we offer a wide range of custom woodworking services including high end furniture, molding and millwork, and more.